Distance 4 Dreams is getting ready for another great school year! 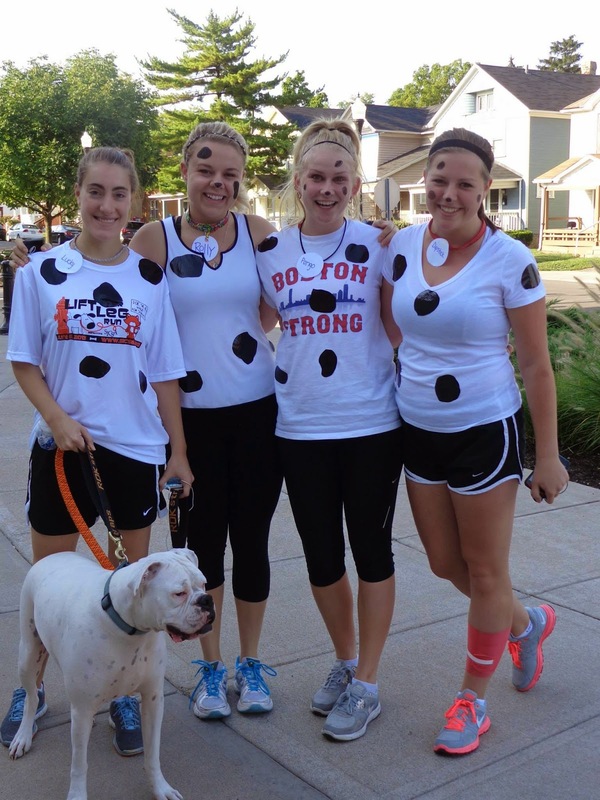 Fundraising kicks off September 5 with the annual Minnie 5K. We hope to see many Disney characters running around campus that morning! September 20 is the annual D4D Pancake Breakfast. Be sure to come down with your families to have an all you can eat breakfast for $5! On Sunday, September 21, D4D held its 7th Annual Pancake Breakfast. It was such a successful event! We made hundreds of pancakes and raised about $2400. Thank you to all who came out to support! Keep the fundraising momentum alive and come run/walk in our Minnie 5K held right on campus. This year's Minnie 5K is on Saturday, October 25 starting at 10:00am. Registration and packet pickup begins at 8:45am outside of the front entrance of the RecPlex (the intersection of Kiefaber and Evanston). For a small fee of $20, you'll receive a t-shirt, drawstring bag, the most fun run you can have at UD, bananas and bagels after the race, and, most importantly, the pleasure of knowing that you helped a child go to Disney World! :) To sign-up come to our table hours the week of the race, signup the day of on site, or click on this link: http://www.itsyourrace.com/event.aspx?id=3585 Hope to see you all there! P.S. Costumes are encouraged! This past school year Distance 4 Dreams accomplished a lot. Most importantly, we sponsored Naomi's trip down to Give Kids the World Village. 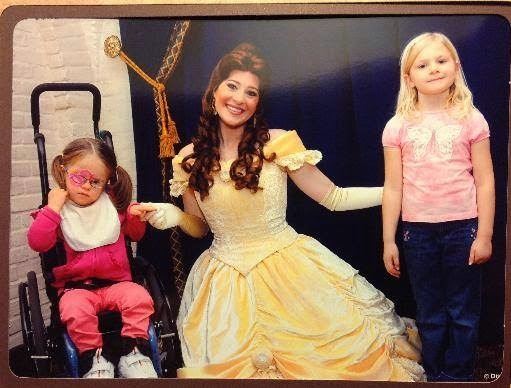 She had a great time meeting all of the characters, especially the Disney princesses. As an organization, we were so honored to be able to grant her wish. Thanks to everyone who helped make her wish come true! Along with Naomi's wish granting, some members made their own wishes come true by completing their first half or full marathon in Disney World! We sent around 50 members down to run in the races this past year. The trip was a blast, as always. D4D intramurals hit a sweet spot this year. We won 5 championships! The sports we won were 4x4 flag football twice, preseason basketball, floor hockey, and dodgeball. We're always looking for new participants, so come out and join the fun. In addition to our Minnie 5k and Pancake Breakfast fundraisers, we added our first ever spring semester fundraiser: a Distance 4 Dreams Euchre Tournament. It was a ton of fun, and we even taught some beginners how to play. Next year we cannot wait to increase the amount of participants who attend, so grab all of your friends to come out and play! Distance 4 Dreams will have its 6th annual Minnie 5K race on campus on Saturday, September 7th at 10 a.m. All of the proceeds from the event will benefit the Distance 4 Dreams organization in sending children to Walt Disney World through A Special Wish Foundation. 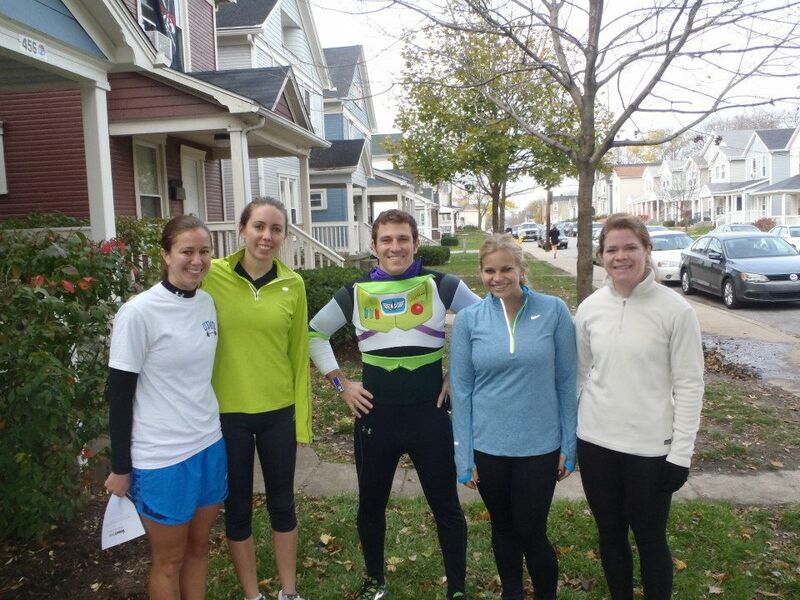 Participants will get to enjoy the most magical 5K at UD during the 2013-2014 school year. Runners and walkers will be able to participate in the all of the pre and post race events. The participants will also be cheered on by Distance 4 Dreams members and Disney music throughout the course, receive a great t-shirt, have the opportunity to win some awesome prizes, and, most importantly, play an integral part in helping a child's wish come true! Registration in person can be completed at D4D Table Hours (outside of Kennedy Union) starting Tuesday, August 27th - Friday, August 30th from 11:00 a.m. to 2:00 p.m. AND from Tuesday, September 3rd through Friday, September 6th from 11:00 a.m. to 2:00 p.m. / We will accept payments in cash, check (made out to Distance4Dreams), Flyer Express (at table hours), or via credit card online. Packet pick-up can be made on Friday, September 6th from 11:00 a.m. through 2:00 p.m. at table hours. Day of Registration will begin at 9:00 a.m. outside the front entrance of the UD RecPlex with the race beginning at 10:00 a.m. Post race activities will occur in Humanities Plaza at the conclusion of the race. 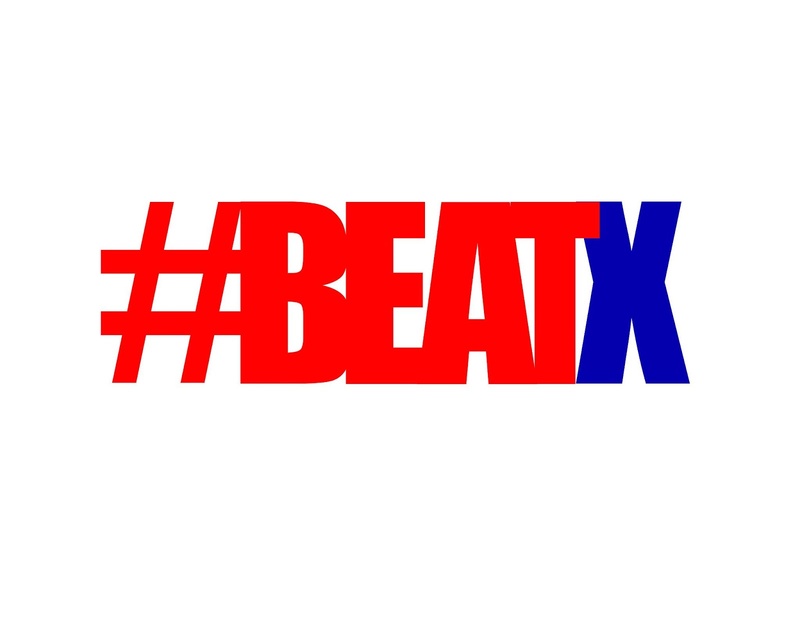 UD's Red Scare is sponsoring a Car Smash the day of the UD vs. Xavier game on 2/16/13 starting at 9:00am. Cost is $1 per swing and all proceeds benefit Distance 4 Dreams. Thank you Red Scare and Go UD! Even our friends at D4D Xavier can't be too mad about this event. Our wish child, Navada, and her family completed their magical week at Give Kids the World Village!!! Thank you to all of your support for our organization this year. We were able to make another child's wish come true!!! January 10-13 was the most magical weekend of the year for Distance 4 Dreams. 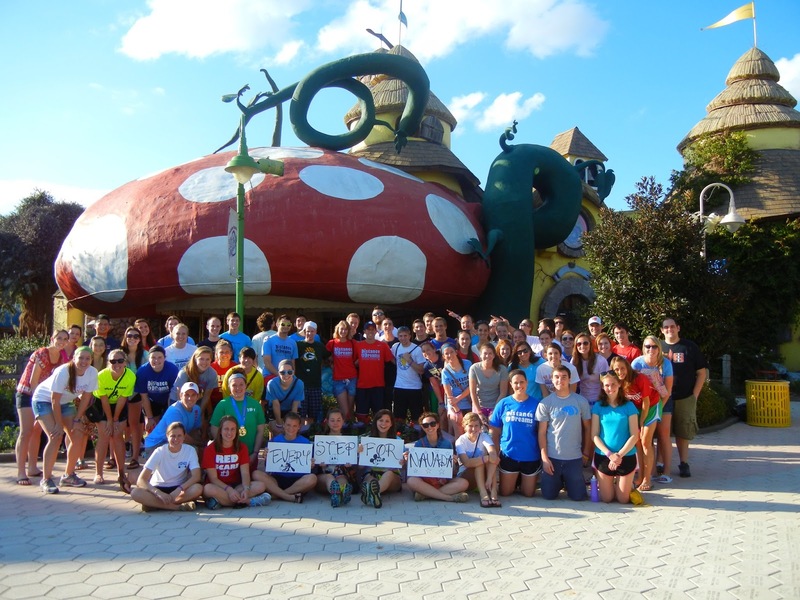 55 Dreamers made their way to Orlando, FL for the Disney World Marathon Weekend to run "4 NAVADA". The weekend kicked off with a day enjoying the Florida weather by the pool or at the parks. Almost 100 members, alumni, and family gathered in Epcot for an outstanding dinner and light show on Friday night. Saturday morning bright and early the half marathon runners concurred the 13.1 mile course running through Magic Kingdom and Epcot. 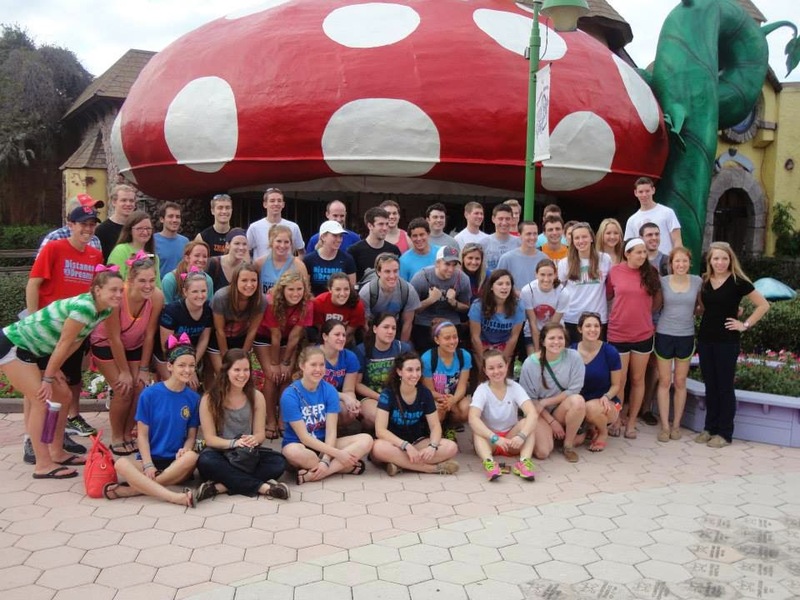 The remainder of the day was filled with a trip to visit Give Kids The World Village and a tasty pasta dinner. Sunday morning the full marathon runners completed their 26.2 mile quest on a record breaking 86 degree day in the Florida sun. All of the runners completed their respective races and 9 goofy members ran both races and earned the coveted Goofy Race and a Half Challenge medal. Congratulations to all of the runners. It was another magical trip to Disney World. 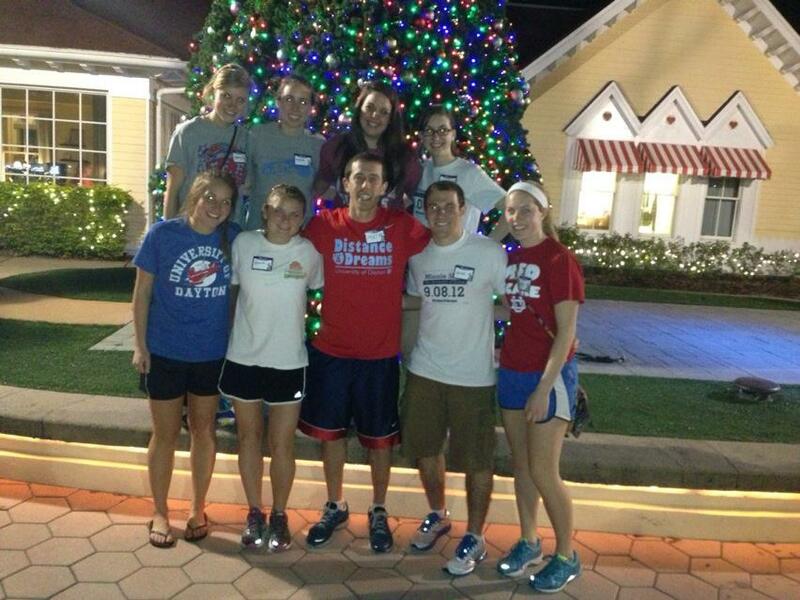 During the Distance 4 Dreams Disney Marathon Weekend 9 D4D members had the opportunity to volunteer at Give Kids The World Village. It was a magical night for the volunteers who helped with the Winter Wonderland event. Some members helped write letters to Santa, others helped decorate ginger bread cookies, and the lucky ones even got to meet Santa themselves. This was a great opportunity and hopefully one that becomes part of the Disney Weekend tradition. 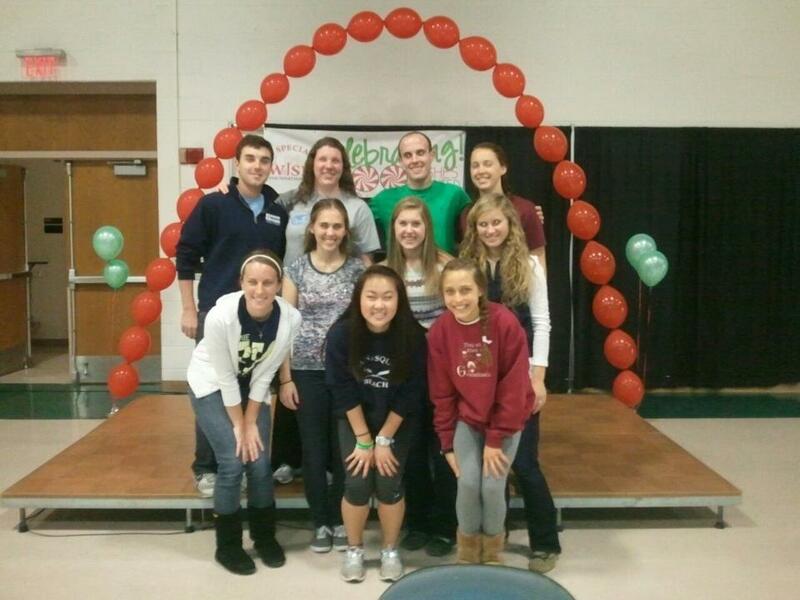 Distance 4 Dreams volunteers helped out at the annual A Special Wish Christmas Party on November 16th. Volunteers helped out with everything from setting up to painting faces to dancing as chipmunks. ASW did a wonderful job again with their party and D4D is honored to be able to be a part of the children's holiday season. 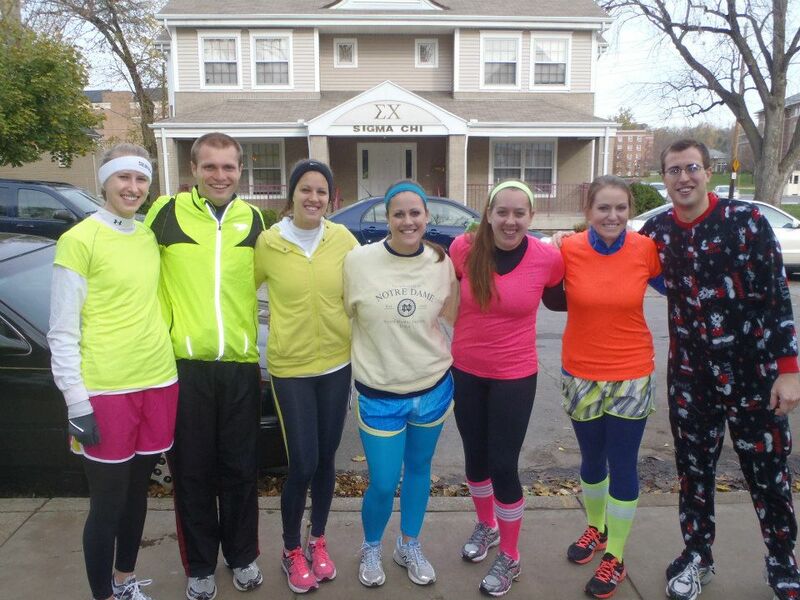 On November 3rd D4D members and Alumni participated in the annual photo fun run around campus. Families dressed up and ran around UD searching for clues. Congratulations to the Alumni team Nemo's Neon for winning the event! On October 21st D4D held its annual Parent's Weekend Pancake Breakfast fundraiser. All of our members showed up and flipped hundreds of pancakes for hungry parents and students. The fundraiser brought in over $2500 for our wish fund!!! Our wish child Navada even showed up! 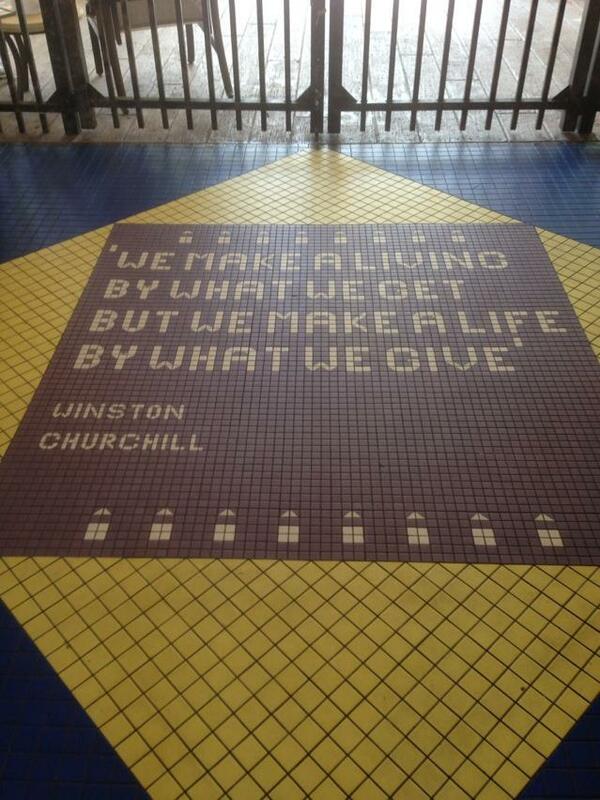 Thank you to all of our donors and volunteers who made this such a huge success! Distance 4 Dreams will have its 5th annual Minnie 5K race on campus on Saturday, September 8, 2012! All of the proceeds benefit the Distance 4 Dreams organization in sending children to Walt Disney World through A Special Wish Foundation. 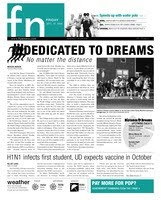 Participants will experience the first and most magical 5K at UD during the 2012 school year. Runners and walkers be able to participate in the fun pre and post race activities, be cheered on and inspired by Disney music along the course, get an awesome t-shirt, have the opportunity to win awesome prizes, and be an integral part of helping a child's wish come true!!! Registration in person can be turned in to D4D Table Hours on Sept. 4-7 at the table by the Kennedy Union Fountain from 11AM-2PM. Payment can be made by cash, check (made out to Distance4Dreams), Flyer Express (at table hours), or through credit card online. Day of Registration will begin at 8:45AM outside the front entrance of the UD RecPlex with the race beginning at 10am. Post-race activities will occur in Humanities Plaza at the conclusion of the race. By Sunday, August 19 all of our Dreamers arrived back to UD for another amazing year of wish granting. It is great to see everyone's excitement. We are looking forward to our best year yet!!! 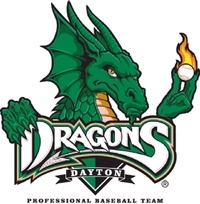 Distance for Dreams is raffling off a private box suite for the Saturday, April 21, 2012 game at 7:10 pm vs. Quad City River Bandits (A St. Louis Cardinals affiliate). This includes 15 tickets to the game, an indoor viewing area complete with leather seats to stay comfortable, as well as an outdoor viewing area to get a true game-atmosphere. The winner will be chosen on April 9, 2012 and contacted via phone to allow enough time to invite friends and co-workers. Help us to raise as much money as possible so that we can work with A Special Wish Foundation to grant as many wishes as possible for children with life threatening illnesses! Meeting Colton and his Family! On Saturday, February 4th, Distance 4 Dreams had a party at the Hangar on Campus for their sponsored wish child, Colton, and his family. Colton and his family made the trip to UD so that they and D4D members could meet and share their stories from their amazing trip to Disney. It was an amazing day for everyone and D4D members were humbled to learn what all their work had meant for Colton and his family. Thank you Colton for inspiring all of D4D and so many others! Congratulations go out again to Distance 4 Dream’s Intramural Teams! D4D recently brought home champions’ t-shirts in Sand Volleyball, Dodgeball and Floor Hockey. This is D4D’s second year in a row with a Dodgeball Championship. And D4D brought its total number of intramural championships up to 4 for this school year! Keep up the winning trend everyone and good job with the cross-training! 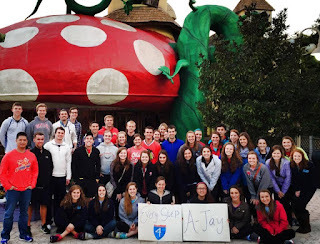 Distance 4 Dreams recently completed another unforgettable and amazing Disney Weekend Trip! D4D members took part in both the Disney Half and Full Marathons running every step for Colton, the child who’s wish D4D was able to grant with the help of the Dayton Branch of A Special Wish Foundation. Colton and his family were able to enjoy an amazing week at the Give Kids the World Village and visit the Disney and Universal Parks. On the weekend trip, Distance 4 Dreams enjoyed and amazing dinner and Illuminations show at Epcot, toured Give Kids the World, and enjoyed the Disney Parks. 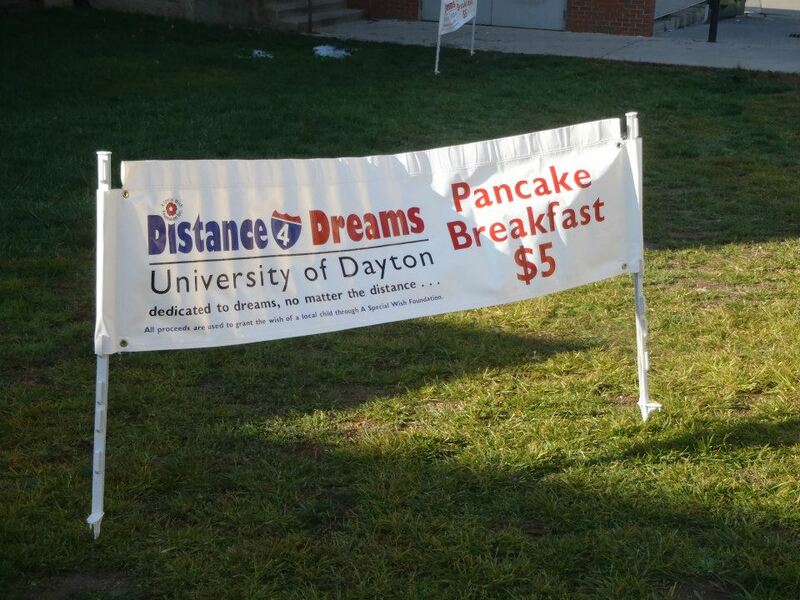 D4D recently put on its annual pancake breakfast for the UD community and their families over Parent’s Weekend. The breakfast was a huge success thanks to everyone who donated, volunteered and came out to fill up on pancakes. D4D was able to raise over $2600 in one morning thanks to all of you! We look forward to seeing everyone for Parent’s Weekend 2013!!! This Saturday, September 17, 2011, marks the Distance 4 Dreams 4th Annual Minnie 5K Run/Walk!!! Come out and walk/run to help grant a young child's wish and make their dreams come true! Registration begins at 9:15 am. Race starts at 10:30 am at the UD RecPlex. Course covers UD campus. A course map will be provided at the race. Post-Race Festivities will be held in Humanities Plaza. Registration: Participants can register Thursday and Friday outside of Kennedy Union from 11 am -2 pm. Also you can register day of starting at 9:15 am. Cost is $15 for the race and race t-shirt. People who register before day of race can receive race registration, race t-shirt, and a D4D water bottle or mug for $20. Awards: Awards will go to top 5 male and female runners. Also their will be an award for best Disney Themed costume and other door prizes. Packet Pick-Up: Race Packets can be picked up out side KU by the fountain on Friday, Sept. 16th, from 11am to 2 pm or at the start of the race on Saturday Morning. All runners will receive their race bibs the morning of the race. After a long summer off, Dreamers are ready to kick off another amazing year of training! D4D set the year in motion by having the annual Midnight Mile. Dreamers gathered at 12 am sharp in all their best fluorescent gear to have the group's first official training run of the new school year. A nice late night stroll while singing some favorite Disney tunes took D4D'ers all around campus and the student neighborhood. The group is now ready for their 14 week training program before taking on Disney! After last year's success in the intramural world, D4D came back this year ready to compete. With training for the Disney Marathon Weekend having yet to begin, Dreamers took to preseason intramural tournaments to stay active. D4D competed in preseason co-ed volleyball, indoor soccer, and basketball tournaments and had great showings in all three sports. But, after some tough fought games in the quick-paced tournament, the D4D team came out on top in the preseason basketball tournament. D4D sported a large and spirited squad in all the games that brought the right skills to overcome the competition. Congrats to all those who competed! 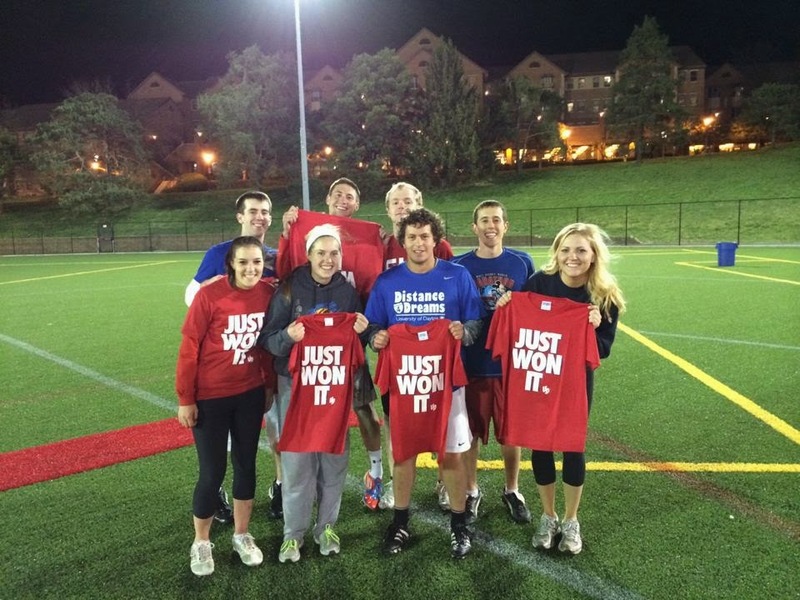 Be sure to show off the coveted Intramural Champions T-shirts around campus! On Tuesday nights this fall, D4D members skillfully (and with a little bit of luck) executed the 5 D's of dodgeball: Dodge, Duck, Dip, Dive, and Dodge. After countless thrilling dodgeball matches throughout the season, this team of Dreamers came out on top in the tournament. They posted D4D's first ever intramural championship...and did it in undefeated fashion! D4D's impressive dodgeball record didn't go without notice. 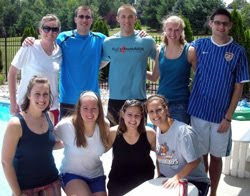 UD Quickly published an article about the team during the first week of December 2010. Click here to read the article! You may have to scroll down a little. Need a little bit of energy in the morning? Pour your favorite beverage into this stylish Distance 4 Dreams travel coffee mug. These 16oz stainless steel mugs with red grips feature the UD logo on one side and the Distance 4 Dreams logo on the other. Get your energy boost while providing inspiration for a family of a child with a life-threatening illness. You can have your very own D4D travel mug for $10 or 2 for $16 (plus shipping). All proceeds go to grant the Disney wish of a child as they travel to Give Kids the World Village and the Orlando theme parks. E-mail ud@distance4dreams.org with your contact information and desired quantity of mugs today! 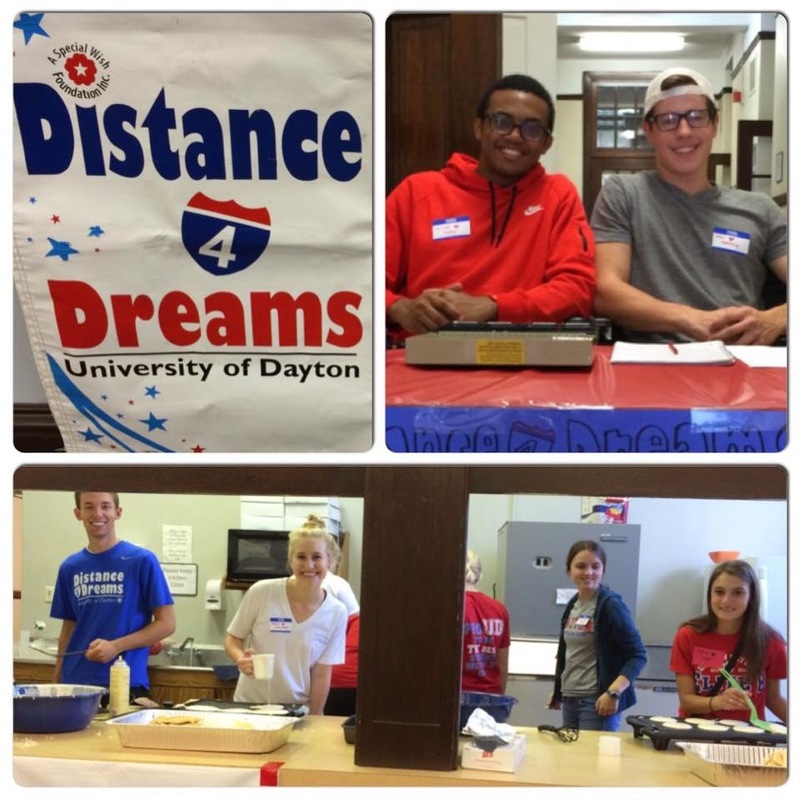 Entering year four, Distance 4 Dreams continues to get attention from new areas, including campuses interested in forming their very own groups much like Dayton and Xavier. 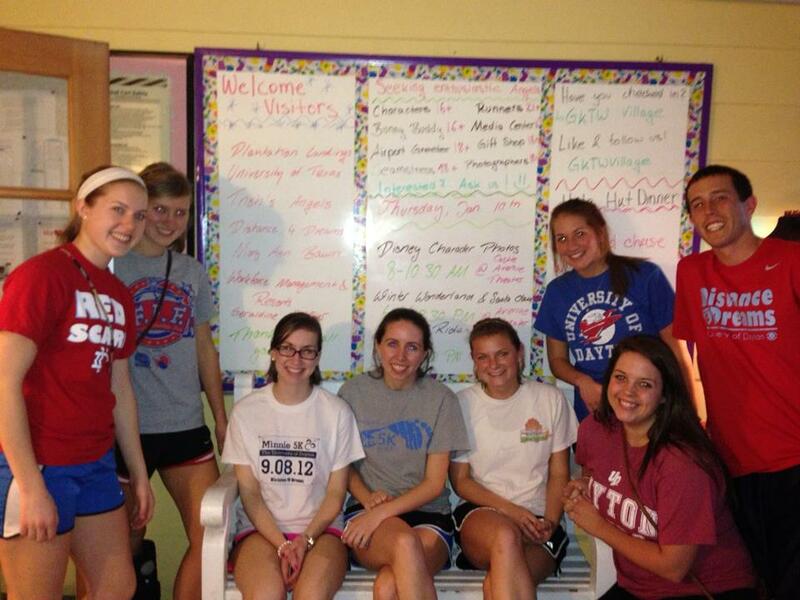 This is a picture from our first meeting this past week with Wittenberg. Whitnee and Lisa are both very excited to take the steps moving forward to making Distance 4 Dreams a reality on their campus. If you know anyone at Wittenberg interested in helping or joining the group, feel free to send them a message at witt@distance4dreams.org! A big thank you to Kelly and Steve for this wonderful reminder of the year! 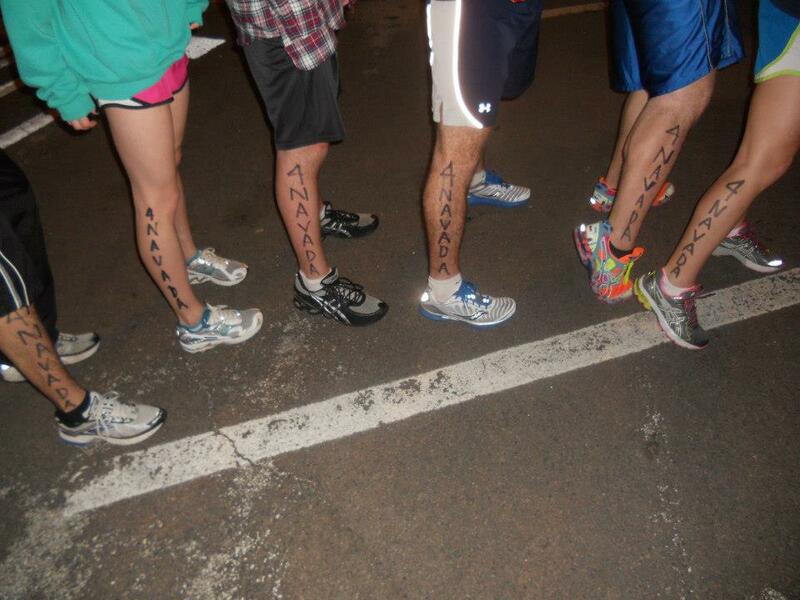 Sunday Night, D4D held its annual Midnight Mile Kick-off Run, and had a very exciting night. The Midnight Mile marks the start of our 18-week Disney Full and Half Marathon training programs. The surprise for the night came with the Flyer News photographer and hopes of a highlight in the student newspaper. This year our kickoff run had record attendance at the run and the excitement just keeps growing! Huge thanks to the entire Flyer News team for the spotlight! Read the Full article at Flyer News! 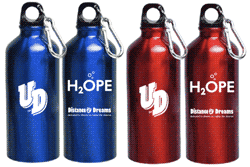 This year's exciting opening fundraiser is a custom branded 20oz Aluminum Sport Bottle. One side exhibits the official UD logo, while the other reminds you what you are drinking for - - H2OPE. This is not the hope that your next drink from this stylish water bottle will quench your insatiable thirst, rather a reminder of the constant H2OPE in the family members of those children who have been diagnosed with a life threatening illness. This H2OPE pulls them through the doctors vists and hospital stays, waiting for the day when everything is better. You too, can have H2OPE. For just $10 or 2 for $16 (+shipping), you can help to grant the wish of a special family as they travel to Give Kids the World Villiage and the Orlando theme parks. Bottles will be sold in Red and Blue until each color is sold out. Send an email to ud@distance4dreams.org with your contact information and quantity desired today to request your choice color! To celebrate it being the half way mark until we are running in Disney World, Distance 4 Dreams members meet for a day of swimming, volleyball, sunshine, lots of food and the enjoyment of each others company. Poolside, members had the opportunity to catch up and visit with one another while sharing laughs reminiscing about last years trip to Disney and getting excited for the year ahead! There was talk of training, the new D4D house, the 5K, pancake breakfast, and our latest fundraiser: the water bottles! The day was thoroughly enjoyed by all. It was a great way to gear up the Distance 4 Dreams excitement for everyone, and wouldnt have been possible without the hospitality of the Morris family. Thank you for making it possible! Thank you to Kelly for putting this together for us!